This casserole recipe comes from Look What’s Cookin’ from Lees Chapel Advent Christian Church. In a small saucepan, melt margarine, and thoroughly blend in flour, salt, pepper, and sugar. Cook, stirring until bubbling. Blend in milk. Remove from heat. Stir in onion and sour cream until well mixed. 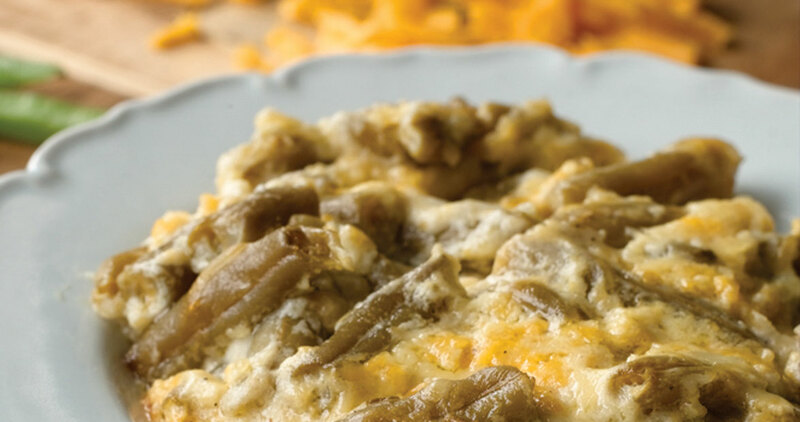 Combine sauce with green beans and cheese; turn into buttered 1 1/2-quart casserole dish. Cover with aluminum foil, and bake for 30 minutes at 350º.